It comes out on November 14th. Fallout 76 is entirely online and it's scheduled to come out on November 14th. The game is playable solo, but it was created with a singular vision in mind: building an open-world, survival-based game where every character players encounter is a real person. It relies on small instances, pulling in dozens of other players rather than hundreds or thousands -- it is the apocalypse, after all. Think Destiny, but in a nuclear-ravaged, retro-futuristic wasteland. This is Bethesda's latest entry in the post-apocalyptic Fallout franchise and it's the biggest game yet -- four times bigger than Fallout 4, in fact. Bethesda shared the release date and fresh details during its E3 2018 media briefing. 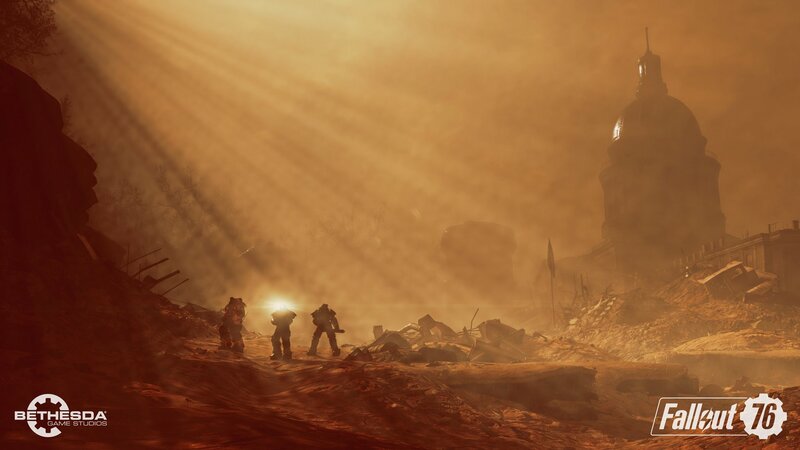 Fallout 76 takes place in West Virginia and it's a prequel to the entire series, following survivors of the nuclear apocalypse as they exit their legendary bunker, Vault 76. Players are tasked with rebuilding their town -- and the entire country -- after Reclamation Day in the year 2076. That's precisely 300 years after the signing of the Declaration of Independence, you'll notice. Players are able to take over nuclear launch facilities to launch missiles against rival gangs or unknown territories. There are six distinct West Virginia regions in the game, and there's a CAMP system -- that stands for Construction and Assembly Mobile Platform -- that allows players to quickly build shelter during their journeys. Meanwhile, in the physical world, Bethesda is offering the Power Armor Edition of Fallout 76 that includes a glow-in-the-dark map, a branded gym bag and a lifesize helmet. It costs $200.